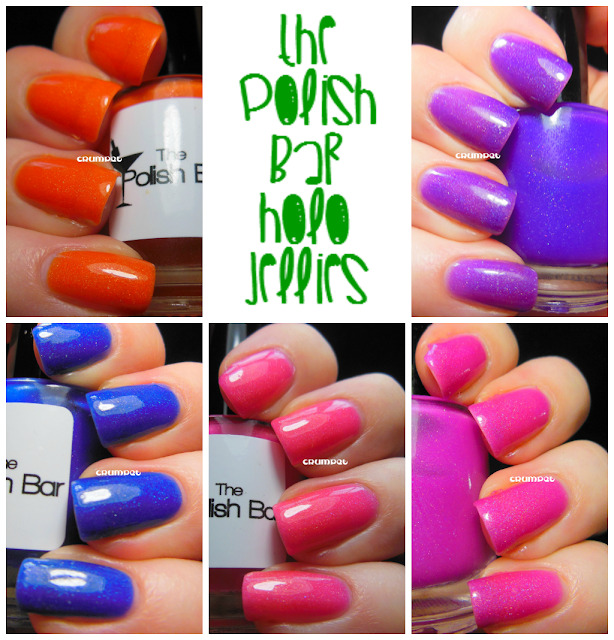 Today features one of my favourite polish makers, Janice from The Polish Bar. Janice first set up shop 2 years ago with lovely creamy glitter polishes, and since then has branched out into holos, crellies - all sorts! 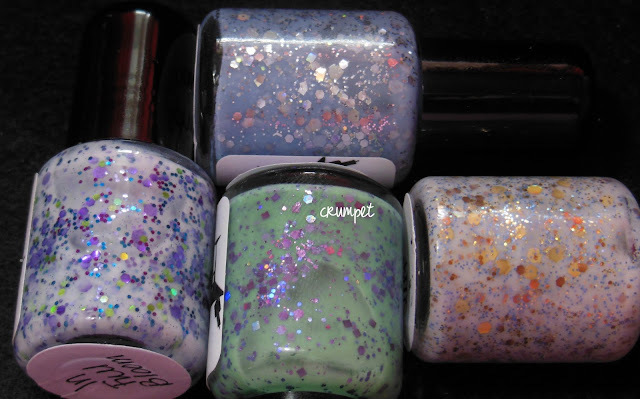 She's also the polish maker I've reviewed for for the longest, so she has a special place in my heart. I think it was when I was in college. I had a really good friend who was really into polish, especially fun and unique colors. We used to paint our nails together. Blue and purple were favorite colors of ours! I was really into Hard Candy polishes in the beginning. Around 4 years ago when I had my second child. I was on maternity leave and stumbled upon some online nail polish groups. The rest is history! This is an impossible question! I cherish my original Nerd Lacquers so I would probably have to save those. I can't pick just one! 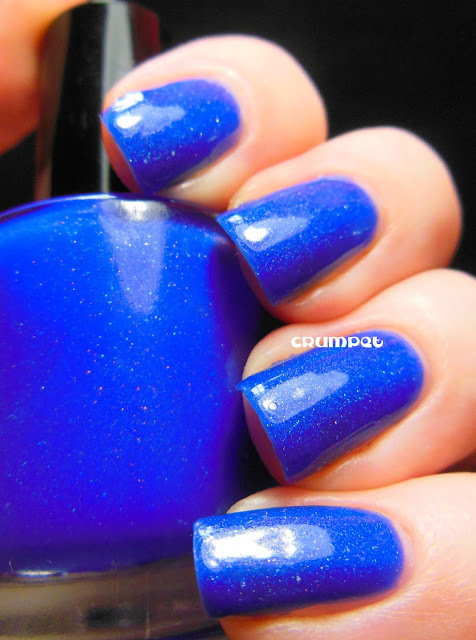 For mainstream brands, I love Zoya and Butter London. I love so many indies, but some of my favorites are Cult Nails, Elevation Polish, Dollish and Hare. Always use base and top coat. Also, the foil method for glitter polishes! Yes, I am an attorney by day. It started out as a hobby. I really needed a creative outlet and polish making seemed like a lot of fun given my love of polishes. Once I started creating more polishes, I opened a small shop on Etsy and actually sold a few polishes. From there, I decided to expand my hobby into a small business. There are a lot of up front costs involved and a lot of trial and error. I'm big on researching things, so I spent a ton of time online researching what goes into making polishes as well as different sources for ingredients. When I started, there were no sources for suspension base so that was my biggest challenge! Eventually, more suppliers began to make different bases and now there is a variety to choose from. Probably around 6-9 months. I spent about 3 months playing around with my supplies when I first got them and then another 3-6 months or so to test my polishes. There was no real process. I knew I wanted something pretty simple and I just liked the sound of it! Really the vision was to make polishes that I like personally. Generally, my aesthetic leans towards more subtle polishes, although I do love a wild, crazy polish sometimes! That is still the vision today. I am glad that people like the same polishes that I do! 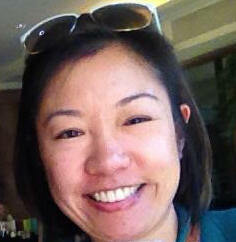 Etsy is a natural choice since the set-up is minimal and they really support small businesses. One of the very first polishes I made was Treasure Chest and I did end up selling it. It sold pretty well! It's still one of my favorites. I would say I make 5-6 prototypes for each polish that becomes saleable. 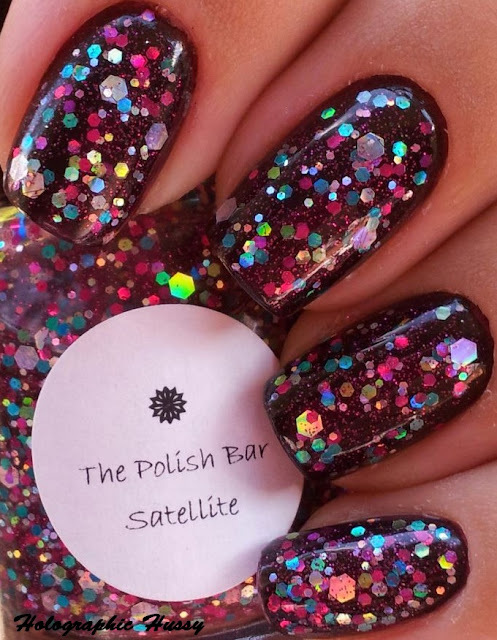 I will always have a soft spot for Satellite - I love holo glitters! This is the hardest part of the process for me. I come up with my polishes first and then come up with names. Sometimes, it takes me weeks to come up with names. I look in books, song lyrics/titles, or I google the inspiration behind the polish. I usually just go by seasons. That's typically what inspires me too. I've found some amazing bloggers that I work with regularly. Setting up a Facebook page also really helps as does participating in giveaways. It's pretty random. Some polishes are a lot more popular and that really helps the overall brand grow. For example, my Spring 2013 Collection featured crelly polishes and people really responded in a big way to those. I think a lot of people who hadn't heard of my brand before that collection are now fans. To date, I think Rainbow Jello is my most popular polish. I still sell a lot of it. It's just a really fun polish and people of all ages love it! Do you get tingles when you see other people post swatches of your polish? Absolutely! I get so excited when I see swatches of my polishes. It's such a rewarding feeling when people like my polishes. I don't use a lot of bloggers, just a small group. Initially, I have to like their blog. I appreciate nice photos as well as detailed descriptions of the polishes. After I start working with a blogger, it just builds into a relationship and I feel the most comfortable going back to the ones that I know I can trust. How do you feel when you see people do nail art with your polish – does it give it a new life or ruin the aesthetics? I really love it. I cannot do nail art myself but I love seeing it on others. I'm hoping to still be doing this a year from now and working on more new and innovative polishes! Anyone who has nails that don't peel. I have major peeling issues right now! I really admire bloggers but I don't think I could be in charge of one! Honestly, I am most proud whenever I create a polish that I love. You’ve been around a little bit longer than most polish makers – how have you seen things change in the last year? There are a lot more indies around now than there were a year ago. It's getting to be a tougher market but that has resulted in polish makers becoming more inventive than ever. 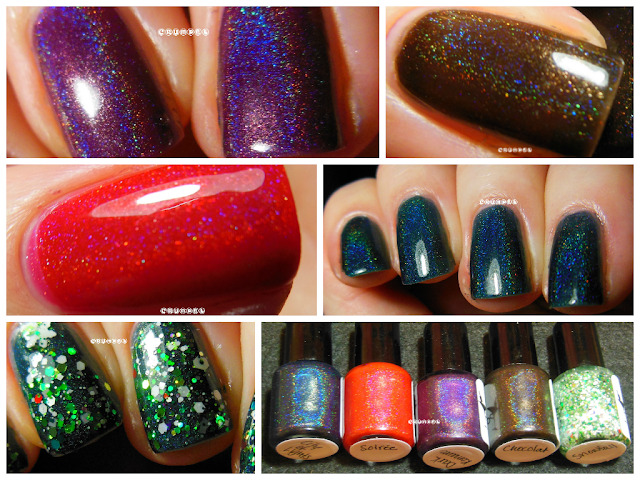 I've also seen a sharp increase in demand for holo polishes. I think so. I'm constantly amazed by the different creations that indie makers come up with. I have a work bench in the garage with a shelf and lots of drawers for my supplies. I also keep a radio nearby and a fan. I try not to think about other brands and focus on my own polishes and brand. There are times when other makers have something out there that is similar but what's amazing is that they are rarely exactly the same. Indie makers are so creative! I really love In Full Bloom. It's a polish that I had a vision of in my head for a while before I created it and once I made it, I really fell in love with it. I've never thought about this but I do wish that I had started playing around with holo polishes a lot sooner. There are some amazing holo polishes out there! I don't proactively plan, but I do try to release different types of polishes each time. 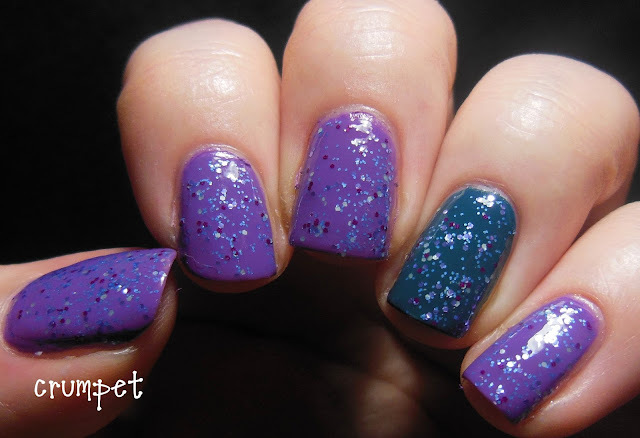 For example, I try not to release two crelly collections in a row or two glitter topper collections in a row. I like to mix it up.